Does Exercise Reduce Cancer Risk? OK guys; listen up. We need to have a heart to heart talk about exercise. Sometimes it seems as if exercise is the step child of a healthy lifestyle. …but exercise – who has time? Does exercise reduce cancer risk? The more we learn, the more it looks like we should really make the time to exercise on a regular basis. A study reported several years ago in the British Journal of Cancer (98: 1864-1869, 2008) showed that moderate intensity exercise significantly reduces cancer incidence and decreases cancer deaths in men. This study followed 40,708 Swedish men, aged 45-79,from 1998 to 2004. When men who walked or cycled an average of 30 minutes a day were compared to men who exercised very little, there was a 5% (non-significant) decrease in the incidence of new cancer and a 33% increase in 5-year survival after cancer diagnosis! When they looked at men who walked or cycled an average of 60 minutes a day, the 5-year survival after cancer diagnosis was about the same as for the men who were exercising for 30 minutes a day, but there was a statistically significant 16% decrease in the incidence of new cancer diagnosis compared to men who exercised very little. A 16% decrease in new cancer diagnosis and a 33% increase in 5-year cancer survival after a cancer diagnosis – now that’s pretty significant! If you are a man, this study shows that moderate intensity exercise has the potential to decrease both your chance of developing cancer and your survival if you do get cancer – and as little as 30 minutes of exercise a day can make a difference. But the sad fact is that less than 50% of the men in this country exercise for 30 minutes even 5 days a week- and 15% are bona fide couch potatoes. So it’s time to dust off that exercise cycle or lace up your walking shoes and get moving. If you are a woman, don’t think you are off the hook. Other studies have shown that regular exercise is just as beneficial in reducing cancer risk and increasing cancer survival in women. As little as 30 minutes/day of moderate intensity exercise increases your 5-year survival rate after cancer diagnosis by 33%. If you are a woman, don’t despair. Other studies have shown that exercise is equally effective at decreasing cancer risk and improving cancer survival in women. Usually I review scholarly publications of clinical studies, but occasionally I find an article in the popular press that’s so good I just have to share it with you. The lead article about weight loss by Bonnie Liebman in the April 2015 issue of Nutrition Action is just such an article. She called it “8 Weight Mistakes”, but I think “8 Weight Loss Myths” would be a better title. 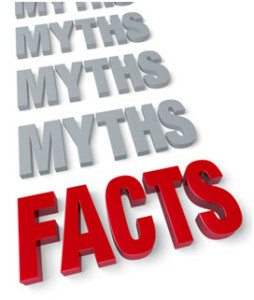 There are certain weight loss myths that are repeated so often that most people believe they are true. Unfortunately, each one of these myths is a “fat trap” that can sabotage your efforts to achieve a healthy weight. If your New Year’s weight loss resolution isn’t going as well as you would like, it may be because you are still holding on to one or more of these myths. On most diets you lose muscle as well as fat. I have talked about this in a previous article, High Protein Diets and Weight Loss , but muscle is important because it burns off calories much faster than fat. Your organs become smaller. For example, as you lose weight your heart doesn’t have to service as many miles of blood vessels, so it can become smaller as well. That’s important because your heart works so hard pumping blood that it burns off calories much faster than resting muscle. 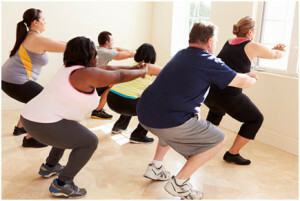 Once you have lost a significant amount of weight exercise burns fewer calories. If you don’t believe that, try lugging an extra 10 or 20-pound weight up a flight of stairs. Your metabolism slows down. This is particular true if you try to lose weight too fast as I have explained in my “3 Things Every Successful Diet Must Do” eBook, which is available at Health Tips From the Professor. Just in case you are still a doubter, Ms. Liebman shared a study in her article that showed most people never lose all of the weight they gained during the holidays before the next holiday season starts. Does that sound familiar? However, that doesn’t stop people from believing that the next “magic” diet will be their ticket to permanent weight loss. It always amazes me that people fall for this same myth time after time. Most of you probably already knew that belly fat (the so-called apple shape) is metabolically more dangerous to our health than thigh & leg fat (the so-called pear shape). 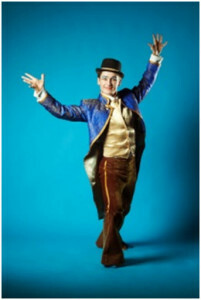 However, some of the other information Ms. Liebman shared was a surprise to me. It turns out that belly fat is actually easier to lose than thigh & leg fat. As you add fat to your lower body you create lots of new fat cells (2.6 billion new fat cells for every 3.5 pounds of fat). Once you add that extra fat to your lower body you’re pretty much stuck with it. Of course, you can’t add new fat to your belly forever without creating new fat cells, and once you’ve created those new fat cells you may be stuck with your belly fat as well. It’s really difficult to understand how anyone could believe in this myth. 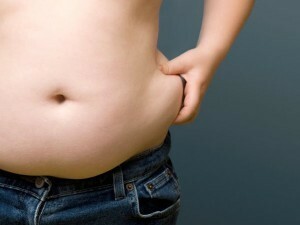 The fact is that we live in a “fat world”. There are fast food restaurants on virtually every street corner in every city and in virtually every mall in this country. Restaurant portion sizes are through the roof. Every social interaction seems to be centered around food or drink. You don’t need to go out of your way to overeat. Overeating has become the American way. You actually need to go out of your way to avoid overeating. Research has confirmed what many of you probably suspected already. All calories are NOT equal. Calories from alcohol, saturated fats, trans fats and sugars make a beeline for your belly where they are converted into the most dangerous form of fat. Many Americans cling to the false hope that they can eat whatever they want as long as they take some sort of magic herb or pill to boost their metabolism. The fact is that natural metabolic boosters like green tea have a very modest effect on metabolism. They can play a role in a well-designed diet program, but they will never allow you to eat whatever you want and lose weight. As for those magic herbs and drugs that promise to burn off fat calories without you lifting a finger, my advice is to avoid them like the plague. I’ve talked about many of them in my previous “Health Tips From the Professor” articles. For example, you might be interested in my articles “Are Dietary Supplements Safe?” or “Are Diet Pills Safe?”. The bottom line is that these metabolic boosters are dangerous – and they just might kill you. Hope springs eternal. Perhaps that’s why so many new diets appear each year. Some diets are low fat, some are low carbohydrate, some hearken back to cave man times, and others are just plain weird. Some of them actually do give better weight loss than others short term. However, when you follow people on those diets for two years or more, none of them work very well (see myth #2), and there isn’t a dimes worth of difference between them. This is perhaps the most pervasive myth of all. This is the one that sells millions of gym memberships every January. Don’t get me wrong. Diet plus exercise can be very beneficial because it helps you retain muscle mass as you are losing weight, especially if you are consuming enough protein to support the exercise. However, exercise alone isn’t going to help you nearly as much as you think. You’d have to ride your bicycle for an hour and 25 minutes to offset the 500 calorie dessert you just consumed at your favorite restaurant. Exercise helps some people more than others. Studies show that some people get hungrier when they exercise. As a result, they eat more calories and actually gain weight rather than losing it. Finally, don’t rely on your fitness trackers. Most of them grossly overestimate the calories you burn through exercise. If you use a fitness tracker you should cut their estimates for calories burned by 50% or more. A recent article shared the 8 most common weight loss myths. 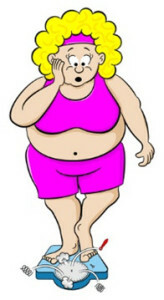 If you actually believe any of these myths, you will have a very difficult time getting your weight under control. I can lose it later. Once it’s off, it’ll stay off. Fat is fat, no matter where it is. You have to go out of your way to overeat. All extra calories are equal (A calorie is a calorie). I can just boost my metabolism. There is a magic bullet diet. I can work off the extra calories. Should Your Post-Workout Protein Shake Contain Added Leucine? 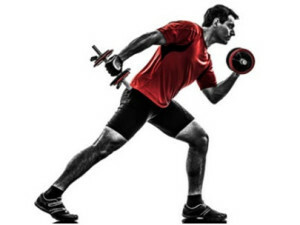 If you are an athlete – or just someone who is exercising to create a lean and healthy body, you are probably interested in increasing your lean muscle mass following each workout. You may already use leucine. Of course, if you read any of the “muscle magazines”, you’ve seen the ads. “Explode Your Muscles.” “Double Your Gains.” They all claim to have the perfect post-workout protein shake, backed by science. They all sound so tempting, but you know that some of them have to be scams. What kind of protein is optimal? What amount of branched chain amino acids is optimal? Are some branched chain amino acids more important than others? Does the optimal amount of branched chain amino acids depend on the amount of protein? As a consequence, after workout protein supplements were all over the map in terms of protein source, protein amount, branched amino acid amount and type of branched chain amino acids. Fortunately, recent research has clarified many of these questions. How Much Protein Do You Need and What Kind? Recent research has shown that the optimal protein intake for maximizing muscle gain post workout is 15-20 gm for young adults (Katsanos et al, Am J Clin Nutr 82: 1065-1073, 2005; Moore et al, Am J Clin Nutr, 89: 161-168, 2009) and 20-25 gm for older adults (Symons et al, Am J Clin Nutr 86: 451-456, 2007). More protein isn’t necessarily better. The effect of protein intake on post workout muscle gain maxes out at around 25 gm for young adults and 30 gm for older adults (Symons et al, J Am Diet Assoc 109: 1582-1586, 2009). 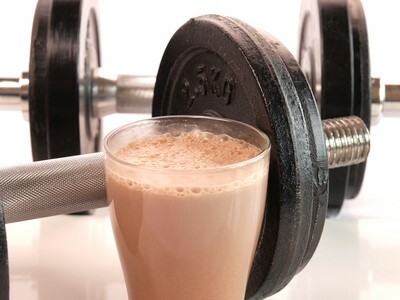 Whey protein is the best choice for enhancing muscle gain immediately after a workout. Other protein sources (soy, pea, casein, chicken) are better choices for sustaining muscle gain over the next few hours. It turns out that leucine is the only branched chain amino acid that actually stimulates muscle protein synthesis (Am J Physiol Endocrinol Metab 291: E381-E387, 2006). And protein is what gives muscles their strength and their bulk. Recent research has shown that 2-3 gm of leucine (2 gm for young adults; 3 gm for older adults) is sufficient to maximize post workout muscle gain if protein levels are adequate (Am J Physiol Endocrinol Metab 291: E381-E387, 2006). Do the other branched chain amino acids play a supporting role, or is leucine alone sufficient to drive post-workout muscle gain? Can leucine still help maximize post-workout muscle gain if protein intake is inadequate? If so, how much leucine is needed? Does Leucine Enhancement Improve Low Protein Shakes? 6.25 gm of whey protein with 5 gm of leucine + added isoleucine and valine (the other branched chain amino acids). (low protein, branched chain amino acids). The high protein shake (25 gm of protein) was far superior to the low protein shake (6.25 gm of protein) at enhancing post workout protein synthesis. This is consistent with numerous other published clinical reports. Adding 3 gm of leucine to the low protein shake had no effect on post-workout protein synthesis, but 5 gm of added leucine made the low protein shake just as effective as the high protein shake at supporting post-workout protein synthesis. In short, leucine can improve the effectiveness of a low protein shake, but you need more leucine than if you chose the high protein shake to begin with. Leucine probably is the major amino acid responsible for the muscle gain reported in many of the previous studies with branched chain amino acids. If the other branched chain amino acids play a supporting role in the muscle gain, the quantities that occur naturally in the protein are probably enough. Adding more may actually reduce the effectiveness of leucine at stimulating muscle gain. While this is a single study, it is consistent with numerous other recent clinical studies. It simply helps clarify whether leucine can increase the effectiveness of a low protein supplement. It also clarifies the role of branched chain amino acids. Research on post-workout nutrition to optimize muscle gain from the workouts has come a long way in recent years. It is now actually possible to make rational choices about the best protein supplements and foods to support your workouts. If you are a young adult (17-30), you should aim for 15-20 gm of protein and about 2 gm of leucine after your workout. If you are an older adult (50+), you should aim for 20-25 gm of protein and 3 gm of leucine after your workout. If you are in between you are on your own. Studies haven’t yet been done in your age group, but it’s reasonable to assume that you should aim for somewhere between the extremes. If you are getting the recommended amounts of whey protein, the leucine level may also be optimal. If you are using other protein sources you may want to choose ones with added leucine. The research cited above shows that you can make a low protein supplement effective by adding lots of leucine, but that’s going to require artificial flavors and sweeteners to cover up the taste of that much leucine. I would recommend choosing one that provided adequate protein to begin with. While the research in this area is still somewhat fluid, I would avoid protein supplements with added branched chain amino acids other than leucine. If the paper I cited above is correct, you probably get all of the other branched chain amino acids you need from your protein and adding more may actually interfere with the effect of leucine on muscle gain. I’d pretty much forget all the other “magic ingredients” in post-workout supplements. If you’re a novice there is some evidence that arginine and HMB may be of benefit, but if you have been working out for more than 6 months, the evidence is mixed at best. As for the rest, the clinical studies are all over the map. There’s no convincing evidence that they work. Whey protein is the best choice for enhancing muscle gain immediately after your workout. Soy, pea, and casein are better choices for sustaining muscle gain over the next few hours. If you’re looking at meat protein, chicken is a particularly good choice. 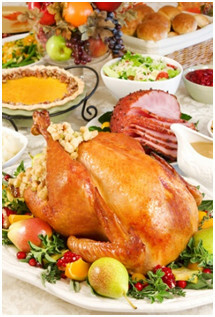 Four ounces of chicken will provide the protein and leucine you need to sustain muscle gain for several hours. Even if you are not working out, recent research on dietary protein and leucine has important implications for your health. In a recent “Health Tips From the Professor” High Protein Diets and Weight Loss, I shared research showing that optimizing protein and leucine intake helps to increase muscle retention and maximize fat loss when you are losing weight. What are the protein needs for older adults? In previous “Health Tips From the Professor” I have covered the optimal amount of protein for weight loss diets in high protein diets and weight loss and following workouts . In this issue of “Health Tips From the Professor” I will review the latest information about protein needs as we age. To put this in perspective, many Americans suffer from sarcopenia (loss of muscle mass) as they age. Some of you may be saying “So what? I wasn’t planning on being a champion weight lifter in my golden years.” The “So what” is that loss of muscle mass leads to loss of mobility, a tendency to fall (which often leads to debilitating bone fractures) and a lower metabolic rate – which leads to obesity and all of the illnesses that go along with obesity. How Can We Prevent Loss of Muscle Mass As We Age? 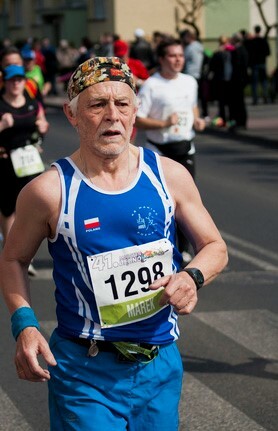 Fortunately, sarcopenia is not an inevitable consequence of aging. There are things that we can do to prevent it. The most important thing that we can do to prevent muscle loss as we age is to exercise – and I’m talking about resistance (weight) training, not just aerobic exercise. But we also need to look at our protein intake and our leucine intake. Protein is important because our muscle fibers are made of protein. Leucine is an essential amino acid. It is important because it stimulates the muscle’s ability to make new protein. Leucine and insulin act synergistically to stimulate muscle protein synthesis after exercise. I have covered the evidence behind leucine’s importance in maintaining and building muscle mass in a previous “Health Tips From the Professor”, Leucine Triggers Muscle Mass. Do Our Protein Needs Increase As We Age? Interestingly, our protein needs actually increase as we age. Campbell et al (Journal of Gerontolgy: Medical Sciences 56A: M373-M380, 2001) showed several years ago that RDA levels of protein were not sufficient to maintain muscle mass in both men & women aged 55 to 77 years old. Many experts recommend that those of us in our golden years should consume the amount of protein in grams that is equivalent to half our body weight in pounds every day. When Should We Eat Our Protein? When we consume the protein is also important. Forget that continental breakfast, salad for lunch and protein-rich dinner. As we age we increasingly need high quality protein at every meal. In one study, young adults (average age = 31), experienced increased muscle protein synthesis when they consumed as little as 15 grams of protein at a meal, but older adults (average age = 68) experienced no increase in muscle protein synthesis in response to the same low protein meal (Katsanos et al, Am J Clin Nutr 82: 1065-1073). However, when the amount of protein in a meal was increased to 30 grams (equivalent to a 4 oz piece of chicken or beef) both younger and older adults were able to use that protein to build muscle (Symons et al,Am J Clin Nutr 86: 451-456, 2007). But, 30 grams seems to be about optimal. Protein intakes above 30 grams in a single meal resulted in no further increase in muscle protein synthesis (Symons et al, J Am Diet Assoc 109: 1582-1586, 2009), which means you can’t hope to get all of the muscle building benefits of protein in a single meal. As a consequence of these studies most experts recommend that we “golden agers” aim for 20 to 30 grams of high quality protein with every meal. How Much Leucine Do We Need? The story with leucine is similar. 1.7 grams of leucine was not sufficient to increase muscle protein synthesis following exercise in older adults, while 2.7 grams was sufficient (Katsanos et al, Am J Physiol Endocrinol Metab 291: E381-E387, 2006). So the experts recommend that older adults get 3 grams of leucine in our diet following workouts to maximize the effect of the workout. And, of course, if we want to maximize the effects of resistance training, both the protein and leucine need to be consumed after we exercise, not before (Fujita et al, J Appl Physiol 106: 1730-1736, 2009). Where Do We Get the Protein and Leucine We Need? So, where do we get the amount of protein and leucine that we are looking for? If you want to get them from food alone, 4 oz servings of meat are a good starting place – with chicken being the best (35 grams of protein and 2.7 grams of leucine). Dairy, eggs and vegetable foods are much lower in leucine, protein or both. Unfortunately, I keep running into seniors who are fully convinced that broccoli and tofu will meet their protein needs. I fully understand the rationale for choosing vegetarian protein sources, but you need a bit more than broccoli and tofu if you are going to meet your protein needs in your golden years. For example, a 4 ounce serving of tofu provides only 10 grams of protein and 0.8 grams of leucine, and a 1.5 cup serving of broccoli provides only 4.2 grams of protein and a miserly 0.36 grams of leucine. That makes it very difficult to meet your target of 20-30 grams of protein and around 2.7 grams of leucine with each meal. I’m not saying that you can’t get enough protein and leucine to maintain muscle mass on a vegetarian diet. However, you will need to plan that diet very carefully. I work out almost every day. On the days when I work out in the morning I rely on a protein shake immediately after the workout to meet my protein and leucine goals. On the days when I train at the gym in the late afternoon, I rely on 4 oz of chicken or fish with dinner to meet those goals. Those of you who know me know that I will never be featured in muscle magazine, but at least I’m gaining muscle mass – not losing it. As we age many Americans suffer from sarcopenia (loss of muscle mass). The loss of muscle mass leads to loss of mobility, a tendency to fall (and break things) and a lower metabolic rate – which leads to obesity and all of the illnesses that go along with obesity. The most important thing that we can do to prevent muscle loss as we age is to exercise – especially resistance (weight) training exercise – at least 30 minutes every day. It is also important to make sure that we are getting adequate intake of protein and the essential amino acid leucine. Our protein needs increase as we age. Recent studies suggest that the RDA levels of protein are not sufficient to maintain muscle mass in people over the age of 55. Many experts recommend that those of us in our golden years consume the amount of protein in grams that is equivalent to half our body weight in pounds every day. Recent studies show that it is important to spread that protein out through the day rather than consume one protein rich meal at the end of the day. If we are over 50 we should be aiming at 20-30 grams of protein per meal. However, more than 30 grams of protein at a single serving appears to provide no additional benefit. Seniors also appear to need more leucine in each meal than younger adults if they wish to preserve muscle mass. Young adults need only around 1.7 grams of leucine per serving to stimulate muscle protein synthesis, while mature adults may need as much as 2.7 grams per serving. 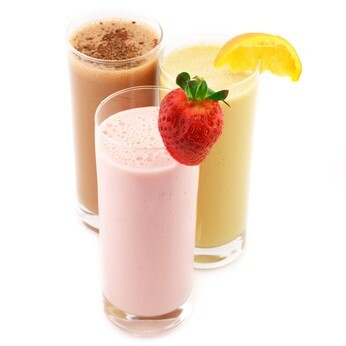 Well-designed protein shakes and 4 ounces of lean meats are the easiest way for seniors to meet their protein and leucine needs. Vegetarian diets can provide the protein and leucine needed to maintain muscle mass in seniors, but those diets need to be very well planned. Broccoli and tofu just don’t make the grade if you are serious about preserving muscle mass. Does Exercise Make You Live Longer? Does exercise make you live longer? If you are a fan of the original Star Trek series, you may remember the phrase “Live Long and Prosper”. That sounded great, but it was just a wish – a platitude. It said nothing about how you might accomplish the feat of living longer and prospering. What if something as simple as increasing your exercise levels might help you live a longer, healthier life? A recent study provides pretty convincing evidence that exercise can increase longevity. If that is really true, maybe the proper phase should be “Run Long and Prosper”. In my past “Health Tips From the Professor” I have talked about how hard it is to prove the value of any individual lifestyle change on improving our longevity – whether we are talking about more exercise, lower fat diets or individual nutritional supplements. Most studies have too few subjects and last too short a time to show any significant effect. That’s why the study I’m featuring this week (Byberg et al, British Journal of Sports Medicine, 43: 482-489, 2009) is so remarkable. How Was The Clinical Study Designed? The study was designed to answer the question of whether exercise can actually help people live longer. But what was remarkable about the study was the number of people enrolled in the study and how long the study lasted. The study enrolled 2,204 men aged 50 from the city of Uppsala Sweden in 1970-1973 and followed the men for 35 years! At the beginning of the study the participants completed a survey on leisure time physical activity and were categorized into low, medium or high activity groups. 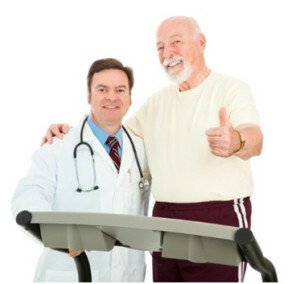 Participants were re-examined at ages 55, 60, 70, 77, and 82 years and changes in physical activity were recorded. Other information, such as body mass index, blood pressure, cholesterol levels, smoking status and alcohol use, was also collected at each survey. And, of course, the researches recorded how many of the initial participants were still living at each of those ages. Is Living Longer One of the Benefits of Exercise? I find that last finding particularly significant because most studies of this type last 5 years or less. If this study had been concluded at the end of 5 years, you might be tempted to say: “Why bother. If I haven’t exercised before, there’s no point in starting now.” But, this study did last more than five years – so the conclusion was completely different. We’ve known for years that exercise reduces the risks of several types of diseases and improves the quality of life. This study clearly answers “Does exercise make you live longer?” with a yes. If you haven’t exercised before, it’s never too late to start. Just don’t expect instantaneous results. You can’t turn on the TV nowadays without seeing ads for medications to prevent erectile dysfunction and allow you to be ready “when the moment is right.” You have probably also heard the ads for testosterone creams to treat “low T”. Similar ads seem to find their way into our email inbox almost every day. Evidently, we guys must have a problem. 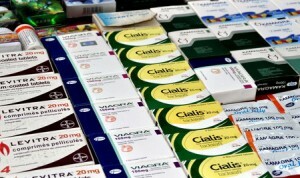 Drugs that increase sexual potency appears to be a topic of much relevance to many of us. But if you listen to the ads carefully, you will discover that all of these drugs have serious side effects. Here are some of the viagra side effects. What if there were a way to increase your testosterone levels and enhance your sexual potency without side effects? In fact, there is a proven way to do that, and it involves treating the cause of the problem – not just the symptoms. While millions of American women are on a diet at any one time, many men just ignore those extra pounds. Things like heart disease, cancer and diabetes seem to be much more distant threats to us. The male ego also allows us to stand in front of a mirror, pot belly and all, and visualize ourselves as we were in our college years. But, what if obesity lowered your testosterone levels and caused erectile dysfunction? Would that get your attention? Low testosterone levels in men lead to depression, loss of muscle mass and bone density, feminization, and that all important loss of sexual drive and performance. So guys, if you are concerned about your sexual performance, but don’t want to take drugs that may have viagra side effects, you have another option. Just take off some of that extra weight you have accumulated over the years. That may just increase your testosterone levels and your sexual performance naturally. And you won’t have any side effects, just side benefits. So guys, if you are not motivated to lose those extra pounds by how you look or by the increased risk of heart disease, cancer & diabetes, now you have yet another reason to shed those extra pounds. Perhaps this should be the year that you actually stick to your new year’s resolution to lose weight. There are a few bad apples in every barrel, and the supplement industry is no different, especially when it comes to sports nutrition, weight loss products and supplements to avoid. In previous health tips from the professor I have exposed some of the more dangerous sports nutrition and weight loss products on the market at the time. For example, I have reported on the dangers of weight loss and sports nutrition products containing the amphetamine-like compounds DMAA and DEPA . The DMAA story was a real scandal. Not only did sports nutrition products containing DMAA kill people, but the FDA actually had to raid the warehouses of a major nutrition retailer to force them to stop selling it. You might ask why would supplement manufacturers even make products like that? The bottom line is that some companies are far more interested in their profit margin than they are in the safety of their customers. Amphetamine-like ingredients burn off calories and give athletes an artificial energy boost. Those results sell products. The fact that those same ingedients also kill people is of little concern to unscrupulous manufactures. In fact, as soon as one amphetamine-like ingredient is banned, they just reformulate by adding another amphetamine-like ingredient to their product. The unscrupous manufacturers are at it again. 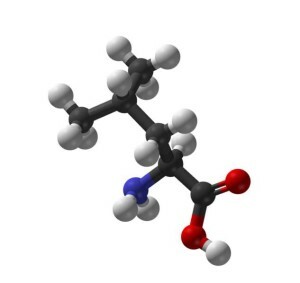 A recent paper by a group of scientists in the United States and the Netherlands (Cohen et al., Drug Testing and Analysis, 2014: DOI 10.1002/dta.1735) reported that DMBA, another amphetamine-like ingredient that is a close analog of DMAA, was found in at least 12 products marketed to improve athletic performance, increase weight loss and enhance brain function. DMBA (1,3-dimethylbutylamine) is a synthetic compound that has never been tested for safety in humans, something that the FDA is supposed to require for every new dietary ingredient added to a supplement. Because DMBA is chemically similar to DMAA (1,3-dimethylamylamine), the scientists conducting the study suspected that manufacturers may have started adding it to their products. The scientists surveyed the listed ingredients on all supplements distributed in the United States for any ingredient name that might be a synonym for DMBA. They identified 14 supplements that fit that criteria and analyzed them for the presence of DMBA. 12 tested positive for DMBA. The supplements they identified that contained DMBA were Contraband, Redline White Heat, Evol, MD2 Meltdown, Oxyphen XR AMP’D, OxyTHERM Pro, Oxyfit Extreme, Synetherm, AMPitropin, Decimate Amplified, AMPilean, and Frenzy – but they warned that there could be many more out there that they didn’t identify. The Council for Responsible Nutrition, an industry group, sent a letter to the FDA on September 12th urging regulatory action…noting that it has a similar chemical structure to the banned ingredient [DMAA] and that none of those selling it have filed required “new dietary ingredient” paperwork with the FDA to substantiate its safety.” The FDA has yet to respond. This story is all too familiar. The unscrupulous manufacturers won’t remove unsafe ingredients until they are forced to, and the FDA is far too slow to act. Often the FDA doesn’t act until the product actually kills people, as was the case for products containing DMAA. If you are like me, you are probably outraged that manufacturers would even consider selling products like these. But the story only gets worse. None of the labels actually list DMBA as an ingredient. That’s probably because DMBA looks enough like DMAA that intelligent consumers might be scared off. Instead, they list the ingredient as AMP citrate. They can do that because they are using AMP to stand for 4-amino-2-methylpentane. But that is not the common usage for AMP. To any biochemist, and probably most high school biology students, AMP stands for 5’-adenosylmonophosphate – a normal and harmless cellular metabolite. Citrate is also a normal cellular metabolite. In short, the manufacturers are purposely masquerading a synthetic and potentially dangerous stimulant under a pseudonym that looks like naturally occurring cellular metabolites. That is shameful! But wait, it gets even worse. The scientists analyzed 14 products that had AMP citrate on the label and the amount of DMBA ranged from 0 to 120 mg. Apparently these manufacturers have no quality control process either. That is a huge concern because this ingredient has never been tested for safety in humans. We have no idea how much it takes to harm people! Be skeptical of flamboyant claims. For example, some of the claims made by the products listed in this article are “The ultimate stimulant experience”, “Fat incinerator”, “Rapid energy surge”. When you see claims like that you should run the other direction. Research your manufacturer. Only choose companies with a long track record of integrity and product quality. Insist on published clinical studies showing that the product is both safe and effective. 1) A recent report identified a number of sports nutrition and weight loss products containing the amphetamine-like ingredient DMBA. This is a synthetic compound that closely resembles DMAA, a stimulant that was recently banned by the FDA. 2) Because DMBA is potentially dangerous and has never been tested for safety in humans both the authors of this article and the Council for Responsible Nutrition have recommended that the FDA issue a recall of products containing this ingredient. To date the FDA has not acted. 3) You cannot identify products containing this dangerous ingredient by searching for DMBA on the label. That is because the manufacturers selling these products have chosen to use the harmless sounding pseudonym AMP citrate on their ingredient list rather than DMBA. 4) The amount of DMBA in products listing AMP citrate on their label ranged from 0 to 120 mg. That means you have no idea how much DMBA you are getting from the label. Even worse, because this ingredient has never been tested in humans we have no idea how much is safe. Use your common sense. Avoid supplements promising magic gains in energy, muscle mass or weight loss. How Do You minimize Workplace Injuries? You’re not doing anything stressful at work. You’re just sitting at your desk in front of a computer screen all day. Yet you come home every night with a backache, headache or sore wrist. If this describes you, your doctor or chiropractor has probably told you that you need to improve your workplace ergonomics. That’s easy for them to say, but what is ergonomics and how do you improve it? Good ergonomics in the workplace is key to maintaining our body’s proper health and function, and it can have a major effect on the quality of our work. Ergonomics involves the physical stressors in our workplace as well as related environmental factors. For example, physical stressors are any activities that put strain on the bones, joints and muscles. These can involve things such as performing repetitive motions, vibrations, working in awkward positions and actions using excessive force. Environmental factors that contribute to bad ergonomics include loud noise, bad indoor air quality and improper lighting. Why Is Workplace Ergonomics Important? Bad ergonomics can increase the risk of injury to the musculoskeletal system, causing conditions such as carpal tunnel syndrome, tendonitis and neck and back pain, as well as creating a range of other health problems, including sick building syndrome, eyestrain and hearing loss. However, there are steps you can take to improve your workplace ergonomics that can help reduce health risks. How Can You Improve Workplace Ergonomics? Cumulative trauma disorders, such as carpal tunnel syndrome and tendonitis, are caused by repetitive motions such as typing. To prevent this, set up your computer workstation in a way that allows your hands and wrists to be in as neutral a position as possible. When sitting at your desk, your chair should be at a height where your eyes are level with the top of your computer screen, and your arms are at a 45-degree angle for typing. Ensure that your wrists are not angled up or down or to the left or right. If your desk is too high to keep your forearms straight, raise the height of your chair and use a footrest to keep your feet from dangling. Your chair should be at a height where your feet are flat on the floor or on a footrest, while keeping your knees just slightly higher than the level of the seat. The chair should provide some light support to your lower back (use a pillow, if necessary) while allowing you to move freely. The arms of the chair should support your lower arms while letting your upper arms remain close to your torso. Last month I told you about functional fitness training and why I think it is superior to workouts on the machines that fill most gyms and sports clubs. 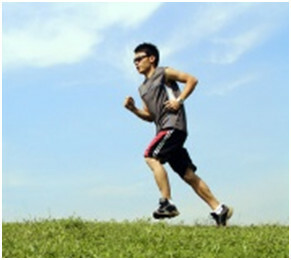 This month my topic is sprint interval training, and why it beats the traditional cardiovascular or aerobic exercises. Walk into any gym and the first thing you see is people straddling treadmills, ellipticals or bikes for 45 minutes or more trying to burn calories and improving their aerobic fitness. It is not an easy task for me to explain in a short fitness tip why we should stay away from the typical low to moderate-intensity continuous training (“CARDIO”) and instead do sprint interval training (SIT, or burst training), but here are the key points. Sprint training can burn the same calories as slow cardio in 1/15th of the time! In addition, slow cardio exercise produces a lot of stress hormones (cortisol) while sprint training stimulates growth hormone (have you ever compared the physique of a sprinter to a marathon runner? It’s your choice). It is the intensity, not duration that effects the adaptation to exercise. 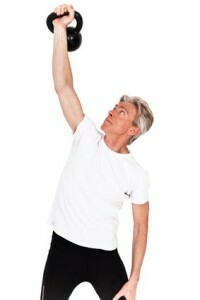 or with full body calisthenics like a Turkish Getup. I recommend that you start with 4 min workouts (add 2-3 min of warm up before) with a sprint to rest ratio of 1-3, say 10 sec sprint with 30 sec rest (slow pace). As you feel more comfortable you should work your way down to a ratio of 1-1 like 20 sec sprint with 20 sec rest. The maximum total time you would want to do is 8 min. (more is not better in this case). 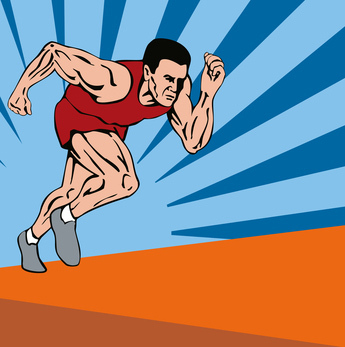 Please remember that the sprints should be “high intensity” which is of course relative to your fitness level. The intensity will be different for a fully trained athlete than for a de-conditioned couch hugger. Sprint interval training (SIT) is a quick and efficient way to burn calories and get the cardiovascular exercise your body needs. You will save time and wear on your joints. Most of all, it can be fun ! Are Fat Burning Sports Supplements Safe? For many athletes it’s all about being bigger, faster, stronger. That’s what makes the fat burning sports supplements so appealing. 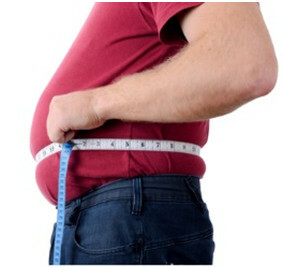 If you believe the ads, they will burn fat, increase muscle mass and give you an energy boost. But, are fat burning sports supplements safe? Are they effective? What Are Fat Burning Sports Supplements? Simply put, most of the fat burning sports supplements contain metabolic stimulants of some kind. That’s where the energy and fat burning claims come from. The stimulants range from clearly ineffective to downright dangerous. Are Fat Burning Sports Supplements Effective? Because sports supplements are considered to be foods rather than drugs, the FDA cannot require sport supplements manufacture to prove that their products are either safe or effective. As a consequence, most sports supplement manufacturers don’t conduct clinical trials to prove the effectiveness of their products. Their claims are based on animal studies and testimonials. However, in most cases there is no objective evidence that their supplements actually work. All stimulants carry some risk. Even small amounts of caffeine can be problematic for some individuals, and many sports supplements contain massive amounts of caffeine. But, it is not caffeine containing sports products that are the most worrisome. Many sports supplement manufacturers are firm believers in the “better living through chemistry” motto. Perhaps they chemically modify it a bit…. And, why bother testing it? Unless the product kills or seriously harms people, the FDA can’t step in and tell a manufacturer to take their product off the market. And, if you think that the manufacturers and sellers of the product are looking after your best interests, think again. I told you about this story last year, so I’ll just give you a brief recap here. After a couple of marines died after using Jack3D prior to a workout, the US military ordered that the product not be sold on their bases. The manufacturer continued to make the product. GNC stopped selling it on military bases, but continued to sell it in all its other stores. Eventually the FDA stepped in and recommended that Jack3D not be sold. The manufacturer claimed that the active ingredient, DMAA, was found in the geranium extract they used in their product. Since that was a food ingredient, they claimed the FDA did not have jurisdiction. The FDA denied that claim based an extensive testing of geranium extract. At that point the manufacturer stopped making it (They have since resuming making the product with yet another poorly tested stimulant). GNC said they would stop selling Jack3D “as soon as their inventory was used up”. The FDA finally had to raid the GNC warehouses to get the product off the market. In case you thought that was an isolated case, the same sports supplement manufacturer has recently been involved in a second case that sounds all too familiar. The FDA recently advised consumers to stop using OxyElite Pro after reports of 24 cases of acute non-viral hepatitis (a very rare disease) in users of that sports supplement in Hawaii. Two of those patients required liver transplants, and one of them died. In this case the manufacturer stopped domestic distribution of the product, but argued that the product is safe. They claimed that counterfeit versions of OxyElite Pro were being sold in the US market. As of a few days ago England, Denmark, Spain, Australia & New Zealand have warned consumers in those countries not to use OxyElite Pro. It’s too early to tell how this story is going to turn out, but my money is with the FDA. And, in case you thought the problem was with a single rogue manufacturer, there is a developing story around yet another popular sports supplement, Craze, made by a different manufacturer. Researchers from the NSF, Harvard and the National Institute for Public Health in the Netherlands recently published a paper claiming that Craze contained DEPEA, a methamphetamine-like compound. The manufacturers claimed that the researchers did the chemical analysis incorrectly and their product actually contained a close analog of DEPEA that is found in dendrobium orchids. (Again I’m not sure why that makes it OK. I don’t think people eat a lot of dendrobium orchids either). Stay tuned. I’m sure this story will have some interesting twists before it’s finished. 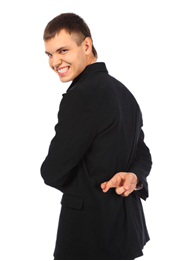 1) In the sports nutrition industry, it is buyer beware. There are lots of rogue manufacturers out there who care more for their bottom line than your well being. Do your homework and search for reputable companies with a long track record of product quality and ethical standards. There are some out there. 2) Ignore the outlandish claims, no matter how appealing. Once again, stick with establishing companies with a track record of product integrity. Only use sports supplements that are backed by clinical studies showing that they are both safe and effective. 3) Be particularly cautious about sports supplements that claim to burn fat or give you energy. They generally contain metabolic stimulants, and often those stimulants are poorly characterized. Most have not been proven to be effective, and some have the potential to do more harm than good. 4) Fat burning supplements are often cross marketed as weight loss supplements. They are just as dangerous for dieters as they are for athletes. 5) Don’t assume that just because the ingredients supposedly come from a natural source (geraniums, Bael trees or dendrobium orchids, for example) they are safe.